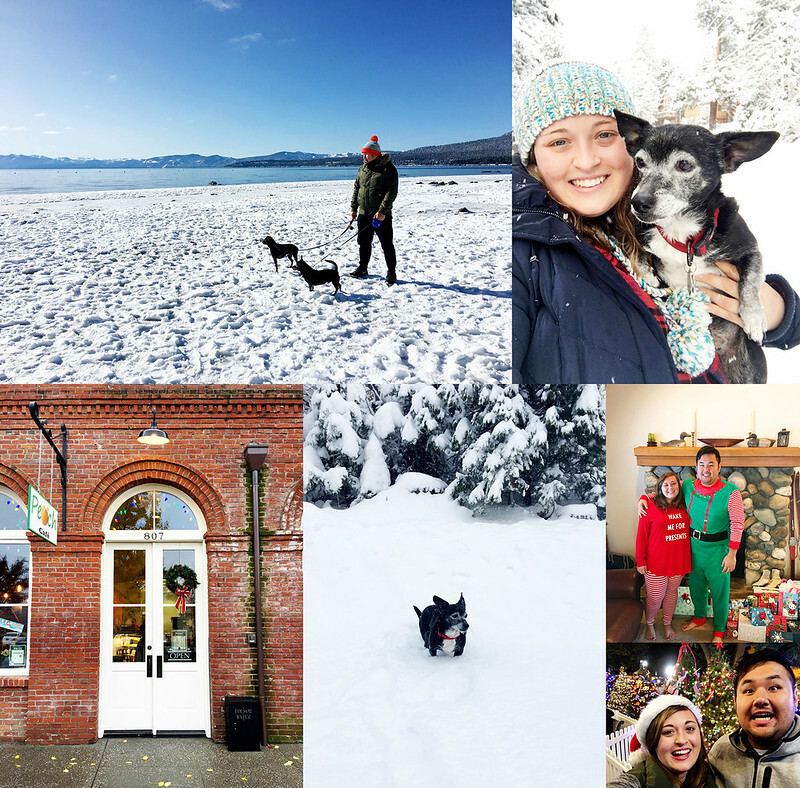 Like every year, I wanted to do my very best to savor the holiday season as much as possible. And like every year, it flew by so quickly! The first weekend of December, I put up the Christmas tree and decorated my apartment, which really set things off with a bang and put me in the Christmas spirit. We also had a nice date at a local event called Christmas in the Park, where we got to walk around sipping coffee and enjoying all of the beautiful decorations. Later in December, I spent a weekend with family, decorated cookies with friends, got all of my shopping and gift wrapping done, and Dai and I had our annual Christmas day date in the city. This year we also had our usual special Christmas Eve Day high tea date early since we were going to be in the mountains this year. 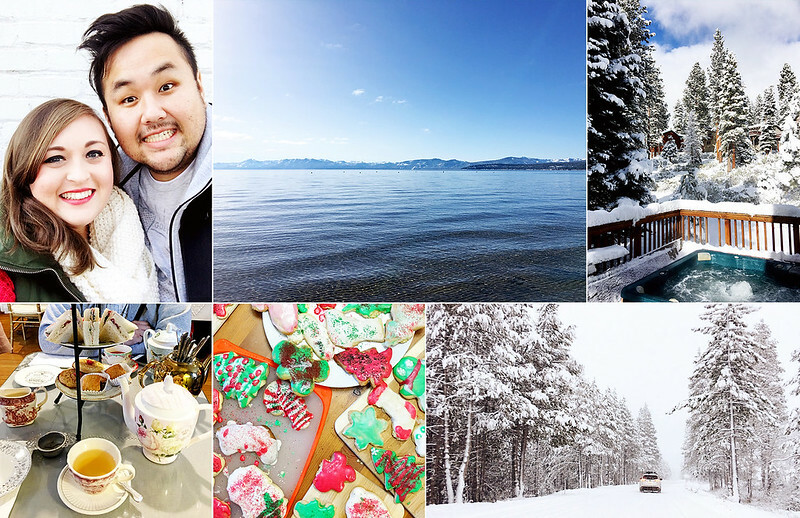 I finished up school on December 19th and we headed to Lake Tahoe on the 23rd to spend Christmas with Dai's childhood friend, her boyfriend, and her parents who invited us to stay in a cabin with them. The cabin that they rented was beautiful! It had three bedrooms, a very spacious living area, and a hot tub on the deck. Soaking in the hot tub while it was snowing was simply divine! 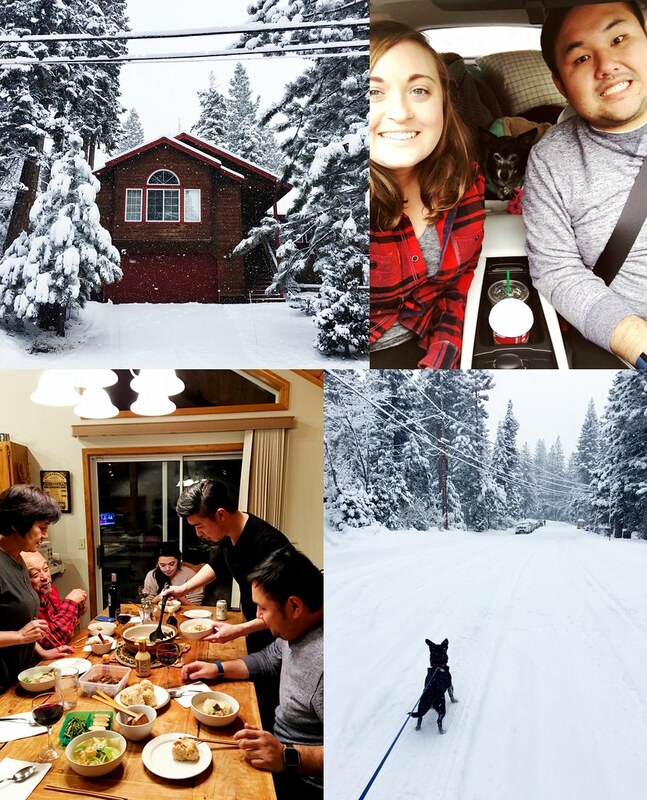 We had a wonderful weekend of relaxing, enjoying the fresh snow, and spending time with good friends. We had yummy meals, drank good wine and champagne, and shared lots of laughs! I even took a nap each day and got in some reading time. 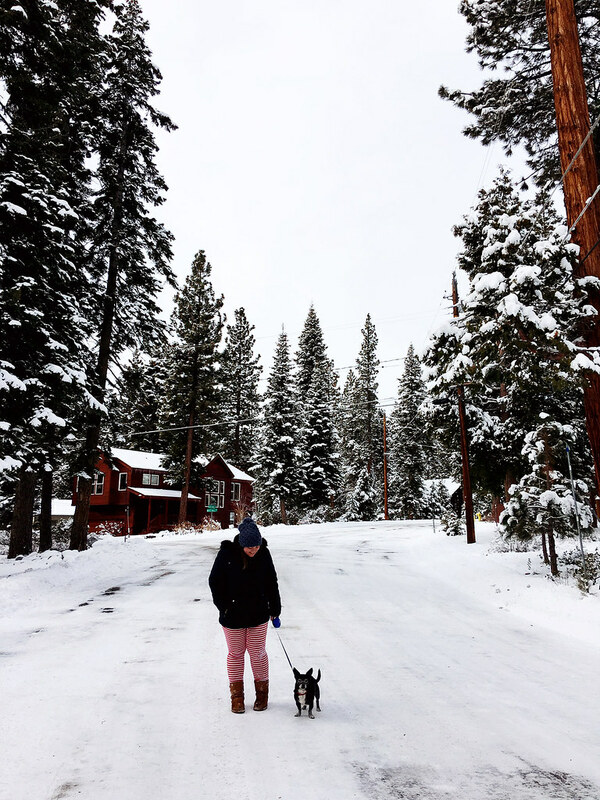 This trip was actually Marly's first time in the snow and it was seriously the cutest thing to see him running around and getting covered in snow. He definitely would get cold after a while, but he was curious about the snow and it was just so sweet. Christmas itself was also really nice! It was my first year spending it away from my family, so that part was a little bittersweet, but it was good to also spend a holiday with part of Dai's "family" since he is always so kind to usually spend them with mine. 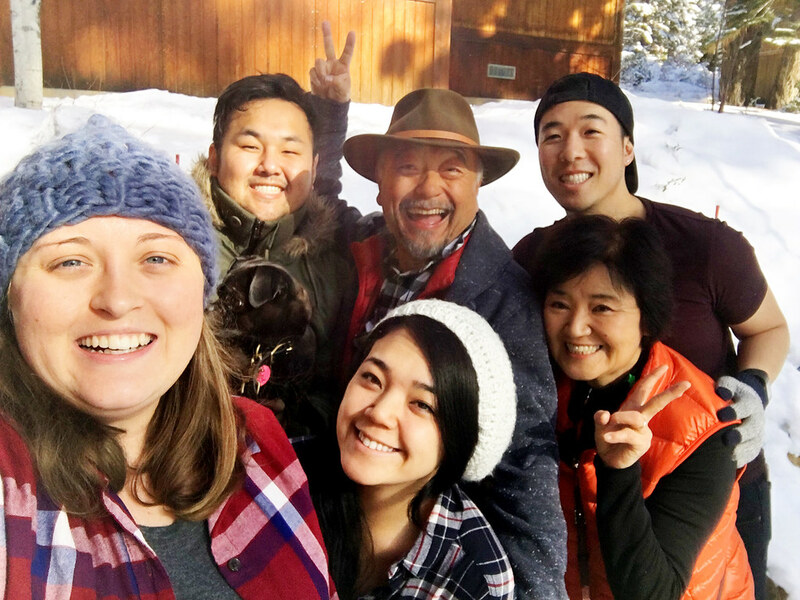 We had a fun Christmas morning and I got to share some of my family's American Christmas traditions with Dai's Japanese friends, which was really cool. Dai and I also made the family a really yummy enchilada dinner and we had a nice night hanging out. All in all, it was a really great Christmas! Now we are back home and had a quiet and relaxing New Year. Dai and I both went back to work today, but tomorrow is my birthday and I have the next couple days off so it I'm not quite back to reality yet ;) I am looking forward to all that this new year will bring! How was your Christmas? What do you enjoy most about the holiday season?